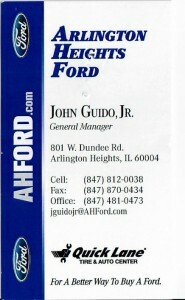 Arlington Heights Ford cares…about our customers and our community. 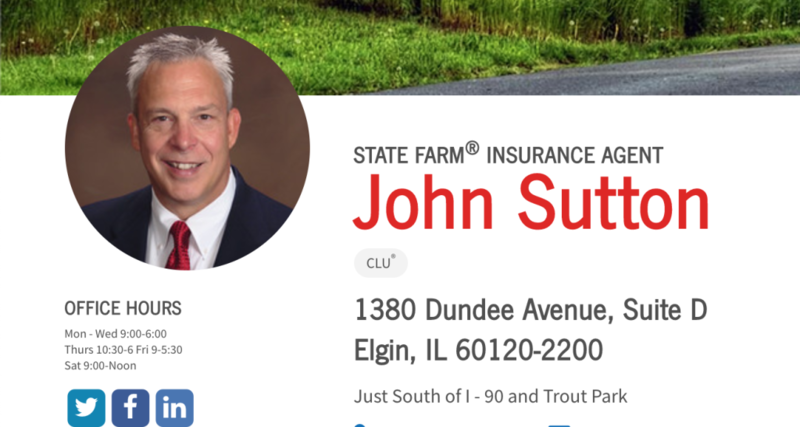 Visit our dealership today at 801 W. Dundee Road in Arlington Heights, or contact us online or by calling 888.481.8607 to learn why we’re the right dealership choice for you. If you’re in the market for a new Ford car, truck, or SUV, then check out our new inventory. We have a variety of models in many different trim levels, so you can easily snag the vehicle that you want and make a great impression on the open road. If you’re looking for something reliable and a little more budget-friendly, our used inventory is something you must see. We take pride in all the vehicles we put on our lot, so you can rest assured that you’re getting a quality product and a great price. No matter what type of vehicle you’re looking for, you can also count on our financing teamto provide you with the best deal. Our team will work with lenders to find you the right loan with an affordable payment plan. We’ll also make sure you’re aware of all the sales, promotions, and deals we have going on too. Besides having a stocked inventory of must-have vehicles, you can always choose Arlington Heights Ford for the best vehicle service in Illinois. Our team of expertly trained technicians thoroughly inspect your vehicle inside and out to make sure it’s working properly before it leaves our facility. So whether you need routine maintenance or a specialty part, let our team take care of it. 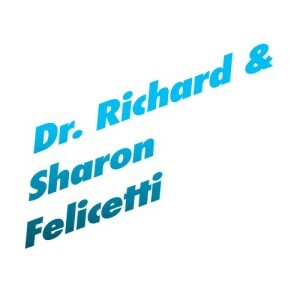 My name is Dr. Richard F. Felicetti. I have always been interested in the history of the United States, especially Presidents of the United States. In the early 1960’s I started and still do today, collecting Presidential Campaign Buttons. My professional career was in the Field of Education. After two years of Military Service, I began my professional career. I was a Teacher, Principal at three levels-Grade School, Junior High School and High School, Director of a Head Start Summer Program, Adjunct College Professor and Superintendent of a Grade School District. I retired as Superintendent of School District 206, Bloom Township High School in Chicago Heights, Illinois, the high school district that I graduated from in 1951. When I graduated from high school, I went on to receive my Bachelors and Masters Degrees from Northern Illinois University. I received my Ph.D. from Walden University in 1993. When I retired from education in 1994, I asked myself what can I do that would be of interest. With my hobby of collecting Presidential Campaign Buttons, I thought it would be fun, exciting and certainly interesting to visit all the gravesites of the deceased Presidents of the United States. I began my journey in 1999 and completed it in 2012. During that time, I have visited every gravesite of our deceased presidents and in some cases I have visited them on many occasions. When I visited the gravesites, I would take thirty to forty photographs of them. From the very beginning, I knew that someday I would write a book covering my thoughts and experiences that I had while on was on my journey. I have now completed my book. I have written a story about each visit to the presidential gravesites. To go along with each story, I would like to have certain photographs printed of the presidential gravesites. In addition to writing about my visits to the presidential gravesites, I have written my Introduction, Epilogue, Acknowledgements, Dedication and also About the Author. I do feel my story will create interest, make a person smile and at times bring tears to the eyes of the reader. It is a story that was heart warming for me to do and I am hopeful that I may share it with the world. I presently live in Peoria, Arizona with my wife, Sharon. As we continue to travel, we will continue to visit presidential gravesites. Every visit is different, always meaningful, moving, sometimes sad, but always tells me that my story has to be shared. 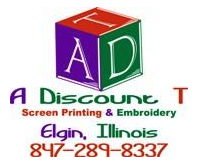 A Discount T has been in the Screen Printing and Embroidery business since 1986. 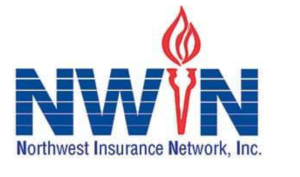 We started in Towanda Illinois in 1986, and then moved to Elgin, Illinois in 2003. We started this business to bring a quality product, and a lower price, while having the best customer service around. We’re a team of decorating and marketing experts who are here not just to give you the product you need, but to give you the support and help to find the perfect product that matches your goals and your budget. Whether you’re looking for marketing tools to promote your business, gifts for employees or clients, or planning a special event, we’re here with a voice of experience to help you every step along the way for your complete satisfaction. We do that with a large selection of quality products, competitive prices, and extremely dedicated customer service. In fact, we offer everything from basic polos and tees to high-tech performance products and designer corporate apparel. All that plus everything in between! You can place your order with confidence knowing that it will be completed on time, accurately and with the same high standards for quality we’ve become known for. We hope you’ll let us show you what we can do for you. 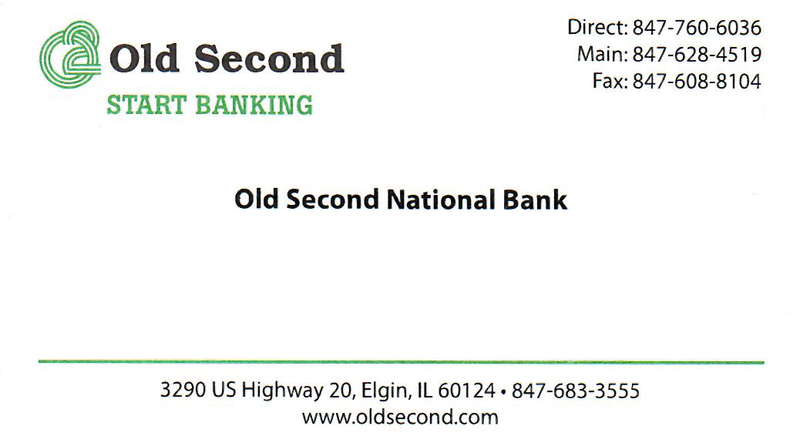 At Old Second Bank, we take banking personally. We work hard to get to know you, your family, your business, your dreams and your goals. We want to be a part of helping you start dreaming, planning and living your life to the fullest. Stop in to one of our many locations, call or email us and we can help you start banking today. It all started when Juan Victoria, the owner decided to accomplish his dream of opening a Mexican Restaurant. Juan wants to offer people great food, fun atmosphere and of course great customer service. He realized he couldn’t find it in his area, so decided to create it. Come and eat the delicious food that we offer, with a great variety of dishes! The dream turned into a four-year project that he put his heart and soul into. No detail was overlooked. The project was started in 2009 and completed in 2013, just in time to celebrate his 40th birthday with friends and family. Its focal point is the Cubs-themed bar. Fifty bats line the perimeter of the Cubs-shaped logo, and all of them have been signed by 2016 Cubs World Series Champions and past Cubs legends. The basement has three brick walls made from the same brick that has been used for all of Wrigley Field’s renovations. Authentic Wrigley Field bricks signed by Ernie Banks and Ron Santo have been built into these walls. 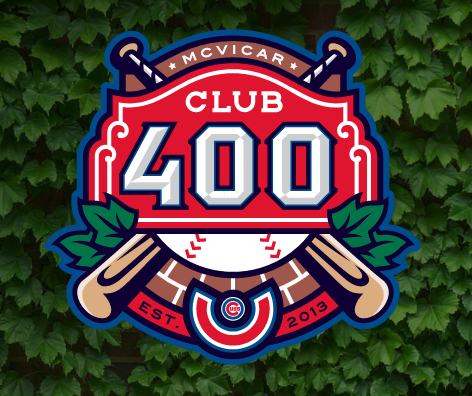 Today, Club 400 contains many pieces of memorabilia from Wrigley Field including bases, turnstiles, a locker, an organ, seats, bats, baseballs, rosin bags, cleats, and countless other items. The basement would not be complete without the ultimate game-day entertainment setup: 10 TVs, a 92-inch projection screen, and four live feeds. There are also separate bathrooms for men and women. When there isn’t a Cubs game on, guests can play one of the many arcade or table games. 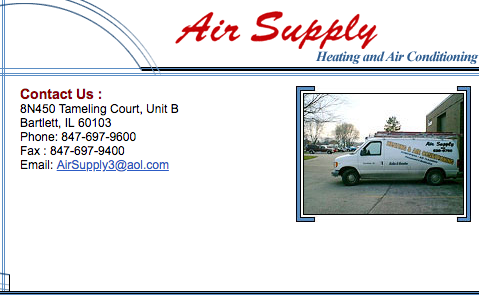 We would like to introduce ourselves; we are Air Supply Air conditioning and Heating, Inc. We are a fully certified mechanical contractor that specializes in both commercial and residential installation, sales, and service. We have over 20 years experience in all aspects of the HVAC industry from design to start-up of systems including maintenance programs. Air Supply specializes in new construction from 1000 sq ft to 100,000 sq ft buildings. Our projects include roof top units, split systems, zoning, and horizontal furnaces. We have specialized and qualified personnel in installation. We are union affiliated, and have a licensed mechanical engineer on our staff. Old Republic [Kitchen+Bar] continues the tradition from The Village Squire, Rookies Sports Pub, and Alexander’s Café of family friendly establishments in the Fox Valley Area. Our Kitchen is American focused and features specialites from California, Minnesota, New York, Wisconsin, New England, Memphis, New Orleans, and Chicago. Old Republic is an American Kitchen+Bar that features our family’s favorite recipes [including beefy beef, the little brave burger, and our republic pizza] with our favorite beverages [including Bob’s Mai Tai from the Village Squire and Craft Beer from around the Country]. We’re proud to create everything in house (including smoked meats) brought to you by our executive chef, J. Grant Werner. Salon Urbane is a full service hair salon located in Elgin Illinois. Owned and operated by Christine Wozniak. Here in Elgin, Illinois, our Subaru dealership has been a proud member of the community for years. We’re you’re hometown source for new Subaru models as well as our wide selection of used cars, trucks, and SUVs from all makes and models. We’re happy to help our Schaumburg area drivers find just what they’re looking for. Our lineup of new Subaru vehicles offers something for everyone, all with the Subaru features you know and love. We have efficient commuter sedans like the Impreza and Legacy, crossovers and SUVs like the ever-popular Outback, Forester, and the all-new Ascent, and even power-packed options like the WRX and BRZ. There’s something for everyone in here at Brilliance Subaru, so don’t wait to browse through our online inventory! At Hurley & Volk Orthodontics, Dr. Ryan Hurley and Dr. Tonya Volk share a vision for our practice that is as much about creating the healthiest and most beautiful smiles as it is about creating an environment of comfort and happiness. We do this by viewing our practice, our team, and our patients as a part of our family. To us, our practice is more than just our work, it is our shared passion, and we are grateful to all of our families for letting us become a part of their lives.We are committed to exceeding our patients’ expectations by consistently providing exceptional orthodontic care and positive patient experiences. Our team is dedicated to treating you and your family in a compassionate, knowledgeable and value oriented environment. 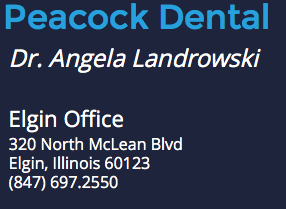 We are honored you have chosen us for your orthodontic care. We will do everything possible to make our patients smile! The food at Dog’s Paw Brewing is local and fresh, which gives it a unique and distinct flavor. 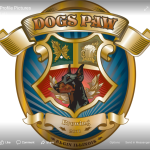 One of the things that Elgin is known for is its diversity, and it’s evident by the crowd in Dog’s Paw that the bar and restaurant has already won over the hearts of local residents. There were artists, college students, families, couples and people just getting off work enjoying the trendy atmosphere of the bar with its DIY concrete bar and industrial lights.